Banana Chia Pudding with only 3 simple ingredients can be served for breakfast, dessert or snack. 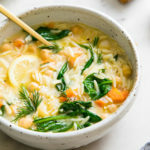 Thick and creamy, it’s healthy, easy to make and delicious as can be! 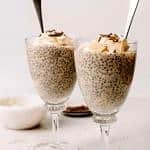 You may already be familiar with this Vanilla Chia Pudding, or this decadent Chocolate Chia Pudding in the recipe archives. But because you can never have too many chia pudding recipes, I thought this banana chia pudding would be a perfect fit and nice variation of this vegan pudding. 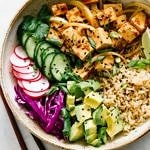 Yes, chia pudding is a wonderfully healthy dessert, breakfast or snack, if using ingredients and toppings that are part of a whole-foods diet. The chia seeds themselves are full of fiber, protein, omegas 3, essential vitamins and minerals. Unsweetened plant milk can provide even more calcium and nutrients, with few calories and fat. Adding fresh fruits, natural sweeteners in sparse amounts, and a small handful of granola, coconut, or cacao nibs, will result in a chia pudding that is both healthy and delicious. 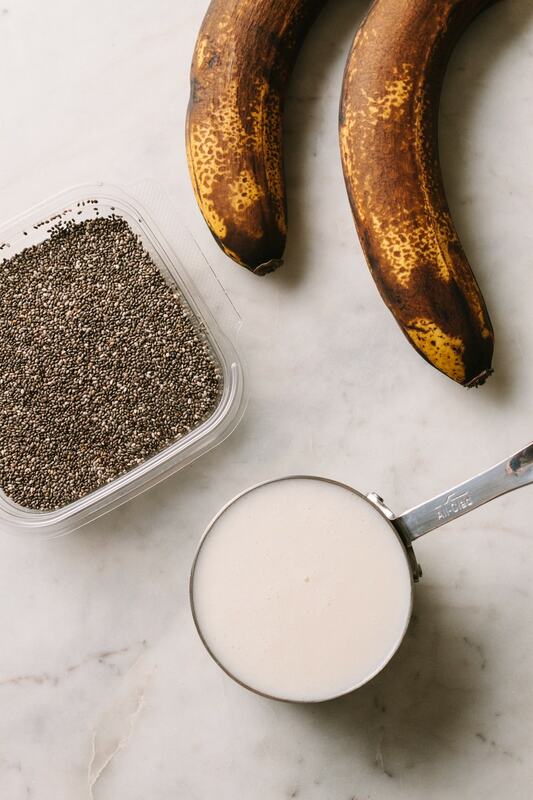 All you need to make banana chia pudding is 3 ingredients. 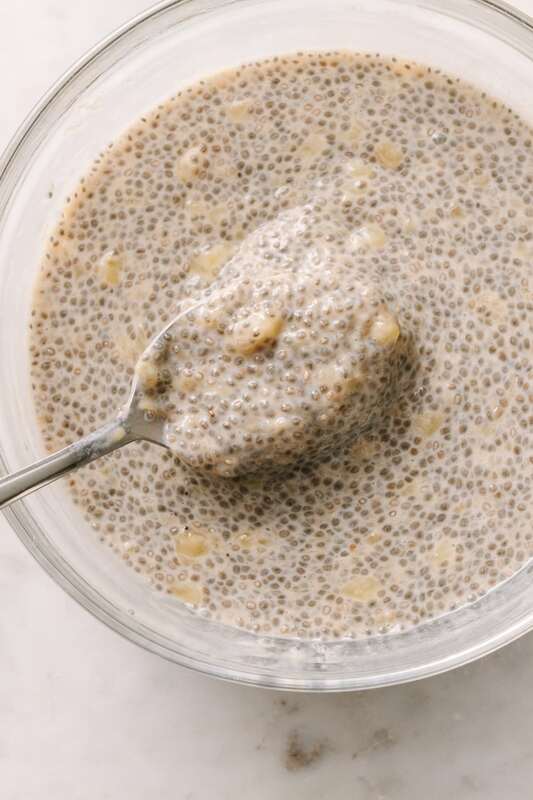 Chia Seeds: The chia seeds are the magic ingredient and will plump up after a few hours of soaking in the milk, resulting in a thick, creamy pudding. They are pretty easy to find these days, and can be found in most major grocery stores. If not, you can source them online too. Bananas: The riper the bananas are, the better and sweeter they will be. I used very ripe bananas and didn’t find the need to add any type of sweetener because the bananas were naturally sweet on their own. 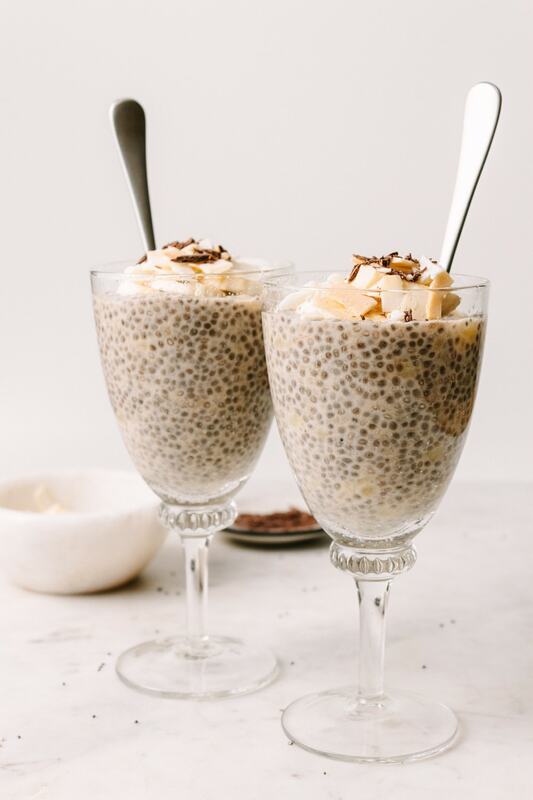 If you find that your bananas have not ripened as much, there is an option to add a little pure maple syrup to sweeten up the chia pudding. 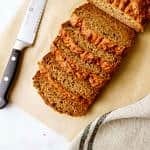 Unsweetened Non-Dairy Milk: I used an almond & coconut milk blend that was delicious in this recipe. Feel free to use a blended, non-dairy milk like I did, or stick with 100% almond, coconut, cashew, or soy milk. Just about any plant-based milk will do, so use your favorite! 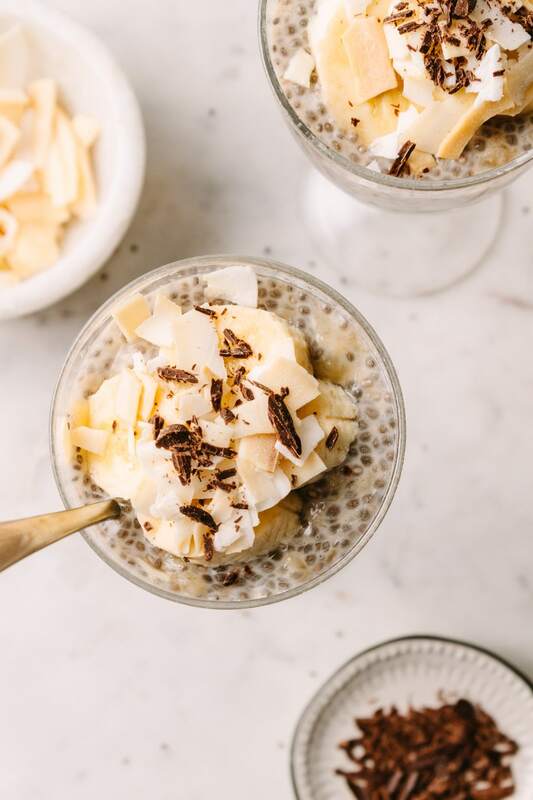 If you’d like to try for an ultra thick and creamy chia pudding, try adding full-fat canned coconut milk in place of the beverage plant milk. 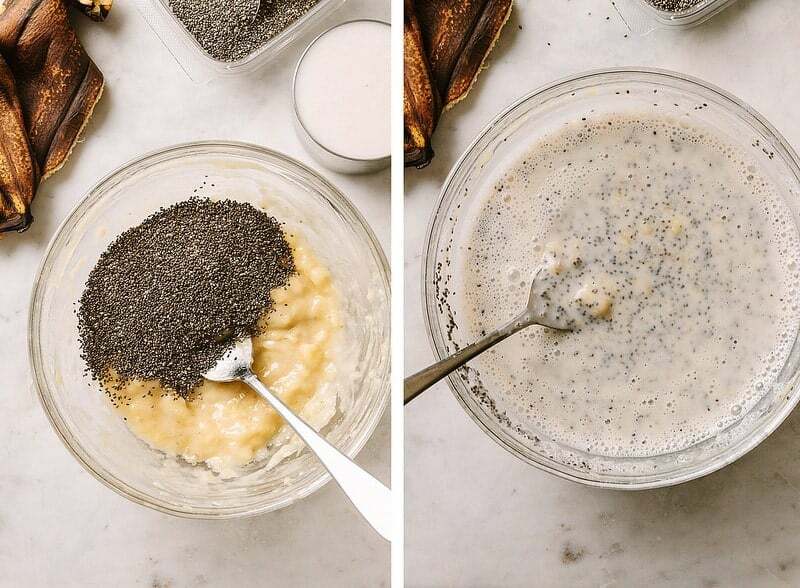 Making banana chia pudding is easy as can be. The only hard part is having to wait a few hours for it to chill and set. But it’s so worth the wait! Simply start by mashing the bananas in a large mixing bowl, add the chia seeds and non-dairy milk, and mix to combine (shown above). Cover, set the timer for 30 minutes, when times up give the chia pudding mixture a good stir, repeat one more time, and place in the fridge to finish gelling up and setting, about 6 hours (shown below). It is very important to not skip this last step of stirring, or your results will be a chia pudding that is soupy. Stir my friends, stir! 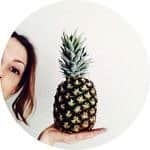 How Long Is Chia Pudding Good For? Chia pudding will stay fresh in the refrigerator for up to 5 days, making it a great meal prep idea for the week ahead. Make your chia pudding ahead of time and store serving size portions in portable containers, like mason jars or tupperware, for a quick to-go breakfast, dessert or snack. 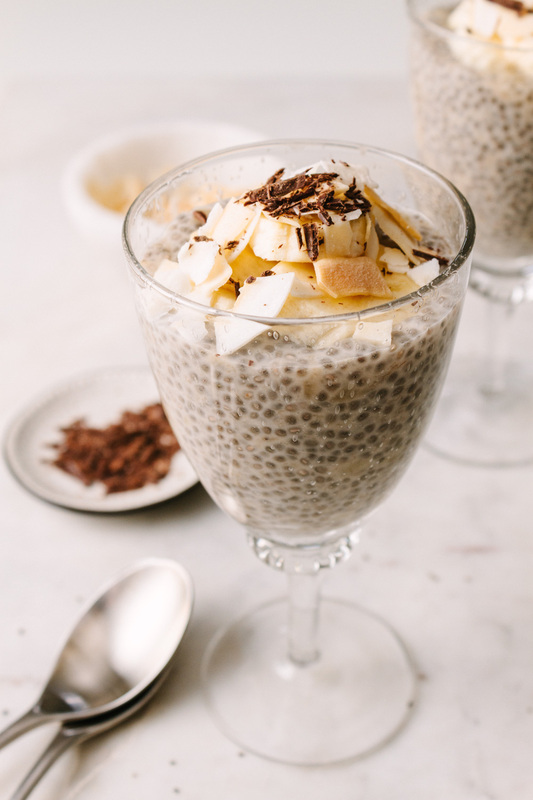 When you’re craving new flavors, try these other healthy chia seed pudding recipes. They’re just as versatile and delicious as this Banana Chia Pudding! Easy banana chia seed pudding, with only 3 simple ingredients, is great for breakfast, dessert, or light snack! In a medium bowl, add bananas and mash well, stir in non-dairy milk and chia seeds, mix well. Let set for about 30 minutes, and give a good stir, repeat one more time, stirring again after 30 minutes. This step is an important step, as the seeds need to be stirred once or twice before completely gelling up and setting. If not stirred, the mixture will be soupy. 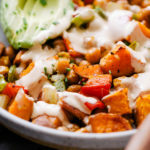 Cover and place in the refrigerator for at least 6 hours, or overnight. Serve with sliced bananas, toasted coconut flakes and cacao nibs/shaved chocolate. Would also be great with a dollop of coconut whipped cream! Make this raw by using homemade nut milk of choice.